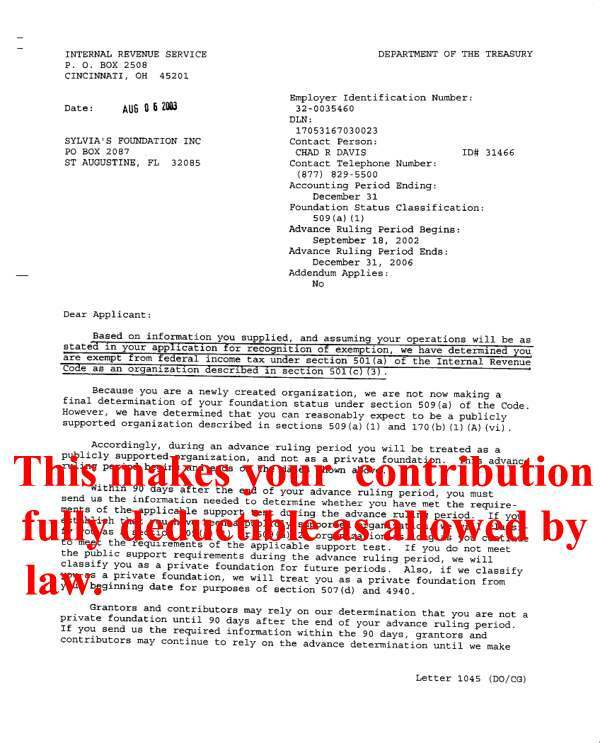 Sylvia’s Foundation, Inc. is a non-denominational, not-for-profit organization that was chartered in Florida in September 2002 and has been recognized by the IRS as a tax-exempt organization that meets 501 (c)(3) requirements (this means your contributions are fully tax-deductible as allowed by law) . While there are many agencies and organizations serving the needs of single moms, and a significant number of organizations serving the needs of mature widows, there are very few support organizations that provide specialized assistance to widows with dependent children. Our mission is to develop programs that will improve the quality of life and make a difference for young, widowed moms and their children. These programs include educational aid and stipends and automobile and home ownership assistance grants. The Founder and Chairman of the Board of the Foundation is Vic Johnson, a Florida-based Internet entrepreneur who is also the grandson of Sylvia Murphy Fanelli. The organization is currently engaged in an international recruiting search to complete its Board of Directors. If you have an interest in serving or would like to nominate a candidate, please contact us.